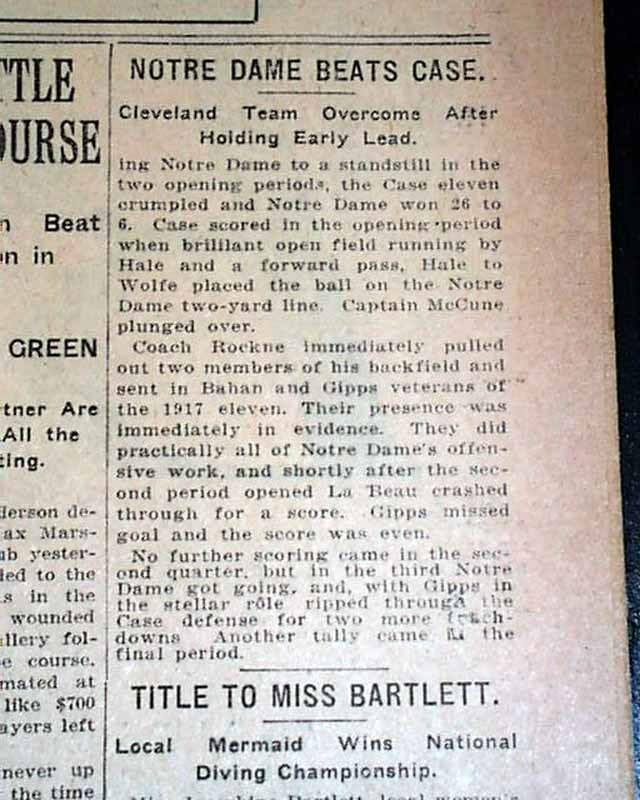 Short report tells of the game between the Notre Dame Fighting Irish and the Case Western Reserve team. This is fact was Knute's Rockne's very 1st game as Notre Dame's head coach. 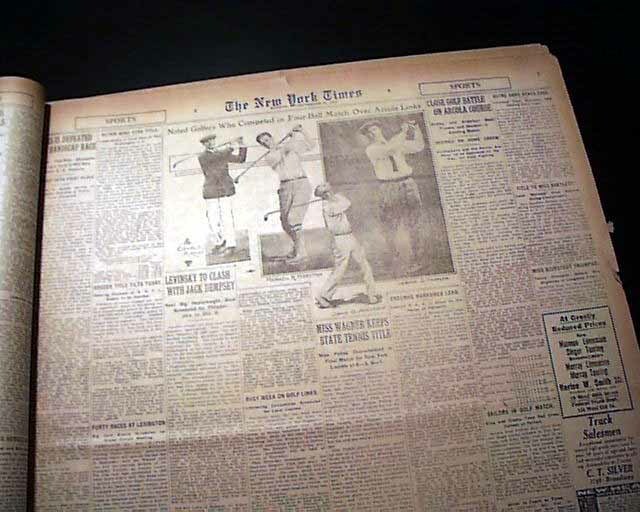 My quess as to the small report is that Notre Dame was not yet a football power house but Knute Rockne certainly changed that in his years of coaching there. It is still a 1st report on one of the mast famous coaches in college football history. Nice to have in this famous NYC title. wikipedia notes: Knute Kenneth Rockne (March 4, 1888 – March 31, 1931) was an American football player and is regarded as one of the greatest coaches in college football history. His biography at the College Football Hall of Fame (South Bend, IN) calls him "American football's most-renowned coach." He was a native Norwegian, and was trained as a chemist at Notre Dame. He is credited with popularizing the use of the forward pass. As head coach of the University of Notre Dame in South Bend, Indiana from 1918 to 1930, he set the greatest all-time winning percentage of 88.1%, the best percentage in Football Bowl Subdivision (formerly known as Division I-A) history. During 13 years as head coach, he oversaw 105 victories, 12 losses, 5 ties, and 6 national championships, including 5 undefeated seasons without a tie. His players included George 'Gipper' Gipp and the "Four Horsemen" (Harry Stuhldreher, Don Miller, Jim Crowley, and Elmer Layden), and Frank Leahy. Rockne introduced the "shift", with the backfield lining up in a T formation and then quickly shifting into a box formation to the left or right just as the ball was snapped. It remained a staple in the Notre Dame playbook until it was discarded by Frank Leahy in 1942 in favor of the T. Rockne is also credited with popularizing the forward pass, a seldom used play at the time, although Rocke acknowledged that the play had actually been pioneered by St. Louis University coach Eddie Cochems. Rockne was also shrewd enough to recognize that intercollegiate sports had a show-business aspect. Thus he worked hard promoting Notre Dame football so as to make it financially successful. 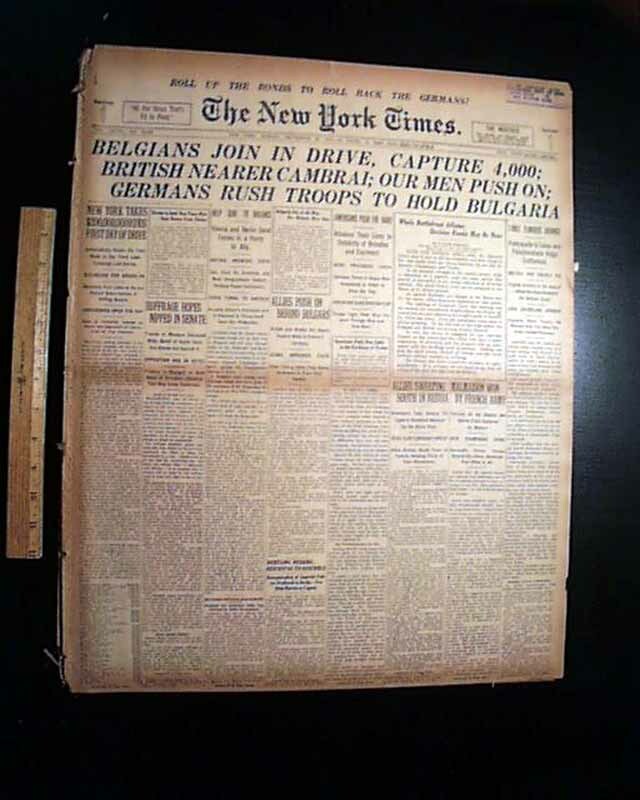 He used his considerable charm to court favor from the media, which then consisted of newspapers, wire services and radio stations and networks, to obtain free advertising for his Notre Dame football product. He was very successful as an advertising pitchman, for South Bend based Studebaker and other products. For all his success, Rockne made what an Associated Press writer called "one of the greatest coaching blunders in history." 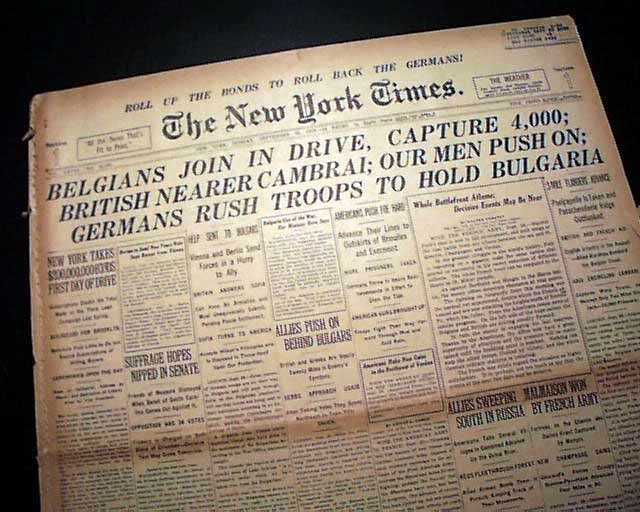 Instead of coaching his 1926 team against Carnegie Tech, Rockne traveled to Chicago for the Army–Navy Game in order to "write newspaper articles about it, as well as select an All-America football team." Carnegie Tech used the coach's absence as motivation for a 19–0 win; the upset likely cost the Irish a shot at the national title.